Kilauea, the active volcano that began erupting on Hawaii’s big island four weeks ago, is still carving its path of destruction through homes and other structures. Ten more homes were lost over the Memorial Day weekend, bringing the total to 92 structures destroyed by burning lava so far, according to local newspaper the Honolulu Star-Advertiser. The disaster has thrown the local real estate community in and around Leilani Estates — the residential subdivision of 1,500-plus residents on Hawaii’s main island that has seen the brunt of the damage — into action offering assistance to residents, but also reflection on the long-term damage to a community that will never be the same. Kehaulani Costa, executive officer of local real estate board, Hawaii Island Realtors, said that it was still an isolated part of the Big Island which was being affected, the large town of Hilo, just 40 minutes drive away was feeling no effect despite the fact they are living on a live volcano. 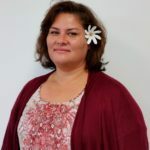 “In Hilo, you wouldn’t know anything is happening, you almost feel bad being in Hilo, life is absolutely normal, while 15 miles away, people are being devastated,” she said. The executive officer said two or three Realtors had lost homes in Leilani Estates up until last week but she feared those numbers had grown over the weekend. Costa said that a number of private citizens were going up in helicopters and giving people in the community information on whether their house was still there or not. People were following the Facebook Hawaii Tracker group and the Puna Lava Update was keeping people informed, she said. The executive officer is not expecting it to stop any time soon. “This could go on for years for decades — this could be the new normal, the new volcano area, there’s no predicting it. It could also shut down in a number of days,” Costa said. She said the sheer volume of lava still coming from the fissures made locals think that there is no end to the disaster in sight. Costa said her priority and that of the real estate community was to find housing for those displaced. Many Leilani Estates residents had come to retire there, and they don’t necessarily have the funds to easily relocate, Costa said. Hawaii Island Realtors has been talking to vacation rental companies to see if homeowners would be interested in renting homes long-term instead. Costa is also meeting with the prosecuting attorney’s office today to see if there is any way to free up housing lying vacant due to foreclosure. Foreclosed homes can’t be easily resold or rented. If the various stakeholders could problem solve that, it would be a huge help, she said. “If not, we are going to have a serious squatter issue so we can either figure out a way to do it legitimately, or people will figure out a way, and our county will be taxed for dealing with it,” she said. Costa said she would like to talk to executives of Realtor associations in other parts of the country who have gone through disaster in the past year to see how they have overcome temporary or longer-term housing problems. “We are challenged, we are surrounded by water, so moving to the next town over or the next state over is not such an easy option for people,” she said. A local lumber company is erecting kits for tiny homes, she added. Accessory dwelling units are another solution, and many homes in the area have plenty of land to accommodate these, according to Costa. Of course with disaster comes opportunity. Vacation homeowners in nearby Kapoho are monitoring the situation closely, some parts of the area below Leilani Estates were being affected by infrastructure problems with the lava straying into power plants. “But if the lava goes around them, they may be in prime location in the future to have vacation homes,” Costa said.